I'm a stay-at-home mom of two kids, a boy (7) and girl (4). They keep me busy and also inspire me! Much of what I create is for them or inspired by them. I also have a wonderful, supportive husband who doesn't mind if things are a little messy while the creative juices are flowing! I have no formal training in sewing. My mom taught me a little when I was a kid. 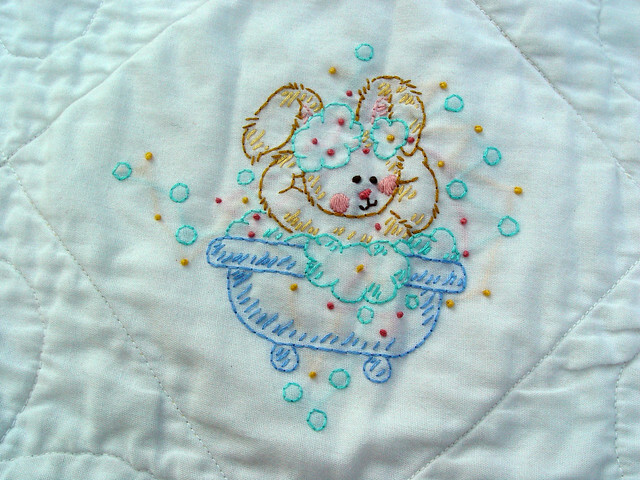 She liked to embroider more -- so that's like second nature to me, even though I don't do it that much. I didn't really get back into sewing until after my son was born. Before that, I was busy getting my Ph.D. in Chemistry from the University of Minnesota. My specialty was calculating partition functions for small atom systems using Feynman Path integral methods and evaluating those integrals by using Monte Carlo sampling. I used a lot of math and have a good understanding of geometry which helps a tremendous amount in pattern designing. I've always lived in MN. Yes, I have a blog called Punkin Patterns and an Etsy shop. My Etsy shop is still in it's infancy -- I'm working on some more patterns right now that should be available in October -- including one quilt pattern. Punkin Patterns is a green, eco-friendly company - something very important to me. We use 100% wind power and recycle everything -- including the tiny thread and fabric scraps! Yes, besides making quilts, I do make lots of kids clothing and knit, paint, and will try pretty much any craft -- I even have a stained glass lamp I made! I've been sewing since I was very young, but I didn't really get into quilting until recently. I'm a self-taught quilter. I learned mostly from reading books and blogs and just trying things out. I've also picked up a lot of great tips from other MMQG members. I haven't actually finished that many quilts -- maybe nine or ten. I think currently I have only two quilt tops that need to be finished, however I have a large number of unfinished sewing projects that aren't quilts. Of course, for me, an unfinished project includes the purchase of fabric for a specific project -- even if I haven't even cut out the material for it yet. If it's sitting waiting to be cut and sewn - it's an unfinished project. Right now I definitely spend less than ten hours a week quilting or sewing. Once the kiddos go back to school that will increase dramatically. 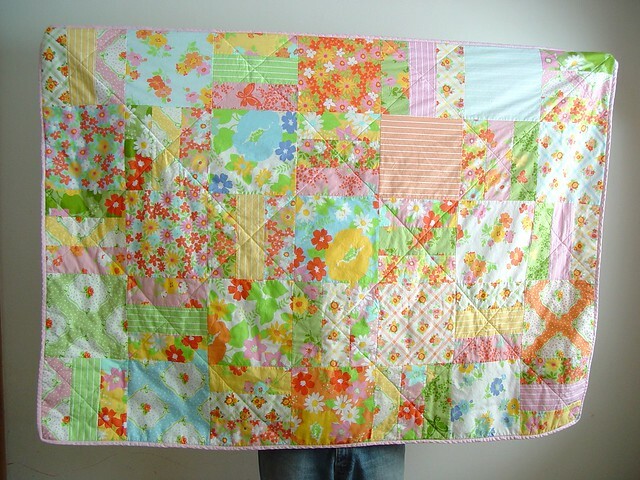 My first quilt was an embroidered baby quilt for my daughter that I made five years ago. It had lots of cute little animals on it. I even entered it in the state fair back then and got 2nd place. I very recently put on some new binding as the first was dragged around by my little one (getting caught on things and pulled) and so, needed replacing. My first pieced quilt was not long after, but I made the mistake of using flannel and no walking foot -- there were quite a few puckers -- I don't think I even have a photo of it -- I gave it away. Soon after, I got a walking foot. I think the one I'm most proud of is my upcycled quilt made all with vintage sheets. I love how soft it is and how well the colors look together. I'd like to collect some more vintage sheets and do another larger one. It's also my first attempt at free-motion quilting. I also love the dress I made for my daughter with the sheet scraps! This quilt that I made for my sister is also one of my favorites. My sewing space is shared with my husband's office. I like to have the iPad nearby to listen to some of my favorite movies and TV shows on Netflix -- all that I've seen before of course. Sometimes I listen to music too, but usually it's Netflix for me. My sewing space is pretty small so my "cutting area" is the coffee table in the family room and my ironing board hangs out near the washer and dryer. So, I'm getting a bit of exercise running around the house while I sew. If I'm actually quilting my quilt, I clean off the large kitchen table and move my sewing machine up there to finish it up. I have a lot more space to move the quilt. My least favorite thing is definitely sandwiching my quilt together and pinning it. Actually quilting it is a close second. I always want that part to be done quickly and it always takes longer than I expect, but I'm learning to relax and slow down and enjoy this part -- a glass of wine helps! 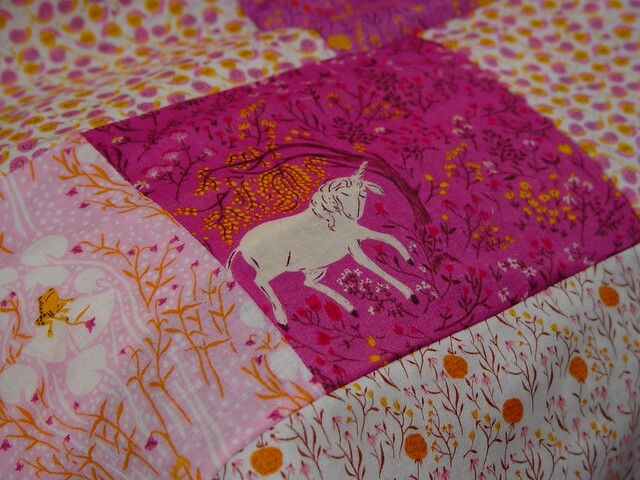 Would like to get up the courage to finish my daughter's quilt -- an entire top in Heather Ross' Far Far Away, just waiting to be quilted -- it scares me because it's double gauze and I don't want to warp or pull on the beautiful fabric - so it's been sitting unfinished for almost two years now. I'd like to finish it and give it to her at her birthday (Thanksgiving), but realistically it won't happen until Christmas. I'd like to get better at free-motion quilting. I've only done one lap quilt and a few tiny projects with it - but I already love it! I'd also like to make a queen size quilt for my bed -- but I'd be afraid of quilting something so large -- I can foresee a lot of cursing on that one. I am inspired by other quilters in the MMQG, but I am also strongly inspired by geometry and architecture. 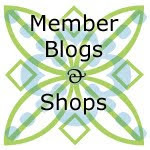 Read blogs and books - there's a lot of great ones out there, then just go for it! seeing to it fully of you gets completely washed.aircus.com/ Have a couple of wonderful members of the family Know More that complain concerning a short showerhead The Best Shower heads to Acquire in 2017 HotelSpa has actually likewise taken that into consideration and also offered users the alternative to raise. The pull-down faucet allwomenstalk.com/ utilizes a pipe with official source inch spray wand that kitchen faucets ideal for establishment kitchen provides inches of reach. The combined Best Kitchen Faucet result of all these functions Kitchen Faucet Reviews quickly makes this version a leading pick.